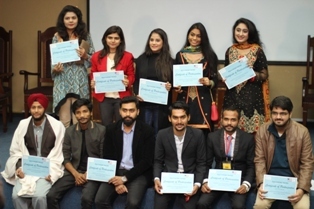 FJS in collaboration with SOCH and the US Embassy Pakistan had a marvelous event of screening short videos produced by young Pakistani students on 11 December 2017 in S-009. 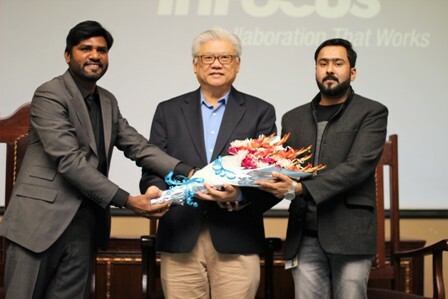 The chief guest of the event was Mr Michael Guinan, the Public Affairs Officer of the US Consulate General, Lahore and Associate Vice Rector, FCCU, Dr Joseph Sun. 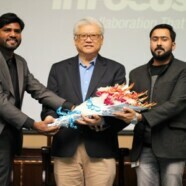 The event was supervised by the advisor, Lecturer, Mr Syed M Saqib Saleem and attended by the respected faculty members of Mass Communication Department. The event formally started with the introduction of SOCH and then different short films made by students were played in front of the public. There were screenings of multiple documentaries including Pink Rikshaw’s female driver, My identity unidentified, Disability is ability and Water Scarcity in Pakistan. 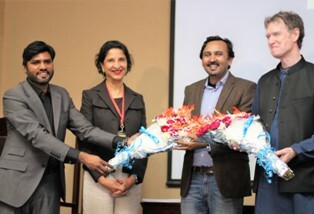 There was a panel discussion after the screenings including, Mr Hafeez Tahir, Director PTV Dramas; Ms Zar Aslam and Mr Naveed Hameed. At the end, Mr Michael and Zar Aslam distributed certificates of participation among participants of SOCH documentaries.